Fringe theatre enthusiasts need not fret! Just days after the Victoria Fringe Theatre Festival ended, not everyone is going to rest. The fun continues on the mainland, in Vancouver, BC! This event has started and far be it from me to not plug both! I saw these three shows in the Victoria show, and these talents are certainly worth following! I offer my top three picks to look at in the stand-up comedy world. The titles will take you to venue and ticket purchases. Existentialism gets a huge boost with Angels & Aliens, a play I saw at the 2018 Victoria Fringe Festival. this play by Jeff Leard and Sydney Hayduk tackles an age-old question of where did we come from and if we are being manipulated by a greater force, hence the title. No Ancient Aliens here. A theory on how life is not simply binary (plagued with yes and nos) is implied. The next time I play Sim City, I will have to be careful in which window I look in on. Here, the game is called iBang. The players are Jeff and Syd, playing opposing sides in this game—angels and aliens are guiding humanity to peaceful coexistence. The characters in the digital universe are also Jeff and Syd. In real life, they have a “domestic” squabble and how they deal is like the game they are playing. Shades of The Matrix can be found here. The St Michaels University School Summer Music Intensive program never disappoints. Every year, for the past decade, at least, the team here have put on a show as part of the Victoria Fringe Theatre Festival and in the past several years I have been attending, I enjoy seeing new talents rise. This year has been a record year: Twenty-five students enrolled. I noticed one member going over the script and perhaps helping fellow cast-mates with when their cue is coming up. 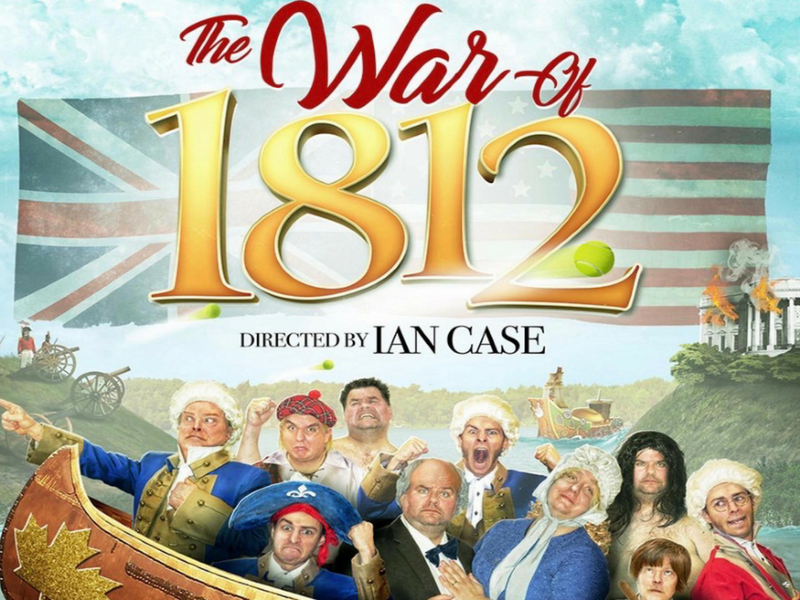 The War of 1812 Hits the 2018 Victoria Fringe Festival, and it’s a Hoot! Wes Borg, Morgan Cranny, Mike Delamont, and Rod Peter Jr. need to teach Social Studies! While I can find them performing at the Victoria Fringe Festival, I have to wonder how they can handle a classroom of attention deficit youths. Back when I went to high school, I found Canadian history boring. The War of 1812 gets unpolitically correct. No one is being blamed for how it started, but to see how all three sides (Britain, USA and Canada) dealt with the annexing of trade was explored in comedic context. With this heavyweight of comedic talents—all of whom are well known in the Victoria, BC theatre scene—I can ace any final exam! I am not sure how accurate the information in the “historical reenactments” is, but this comedic revue had a lot of moments which made me laugh out loud. There were cross-dressing and innuendo. To witness how this country was built certainly puts one song from Jefferson Starship to shame. While it’s easy to build a city on rock and roll, what about the politics and businesses involved? There were pointed shots which I loved. There was never a moment which did not have me in stitches. When this show started with a student (played by Borg) giving a presentation (it was obvious he had no sense of patriotism) and faster than anyone could say Charles Dickens, he gets visited by the ghost of Pierre Berton and they go back in time to learn how this country was made free. After several battles, role switches and home invasions, this boy gets it. I doubt the adults in the room (the audience) needed reminding, but to see two burly men, an average and one thin figure (Peter Jr.) just have fun made my night. There was singing and clapping, and even wiffle balls being thrown. The gang was not intentionally tripping each other up; I saw moments where giggles had to be stifled. Borg’s artistry is infectious. He and Paul Mather originally wrote this work back in the late 90’s, and this show has seen revisions over the years and infrequent performances. It was an all musical production back in the early days, and just how much of it was revised requires knowing how the past versions looked. YouTube is great for looking some iterations up. With this new version, I empathized with the wrapping narrative. Plus, I want to see this show (and see Delamont in drag) again. Borg’s lyrical stylings are comparable to that of The Arrogant Worms. Both are similar in content, but to say I love to see all Borg all the time requires paying full attention to what goes on in the theatre scene. Yes, I have been assimilated.